What: The Predators make their only appearance of the season in the Rose City to face the Steel. When: Saturday, July 9 at 7 p.m. (PT). Where: Moda Center at the Rose Quarter; Portland, Oregon. Regional Media: Radio - 750/102.9 The Game (click to stream audio). This season: April 9 - Predators 53, Steel 50. Series History: Regular Season - Predators lead series 2-0 (0-0 in Portland). 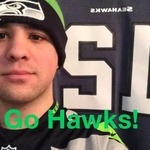 Note: Matthew Sauk, the first head coach in Portland history, is the offensive coordinator for the Predators. The Predators are 11-2 overall, 5-1 on the road and 6-0 in inter-conference play. They are coming off a 56-23 home win over the Tampa Bay Storm on June 24. They are averaging 57.1 points per game and are allowing 47.0 points per game. The Predators are in first place in the American Conference. The Steel are 1-11 overall, 1-3 at home and 1-4 in inter-conference play. They are coming off a 59-38 home loss to the Philadelphia Soul on June 27. They are averaging 40.5 points per game and are allowing 62.1 points per game. The Steel are in fourth place in the National Conference. First Downs per game - Predators 19.5; Steel 18.2. Yards per Game - Predators 267.5; Steel 264.0. 3rd Down Conversion - Predators 64%; Steel 43%. 4th Down Conversion - Predators 64%; Steel 33%. Total Tackles - Predators 381; Steel 276.5. Tackles for Loss - Predators 26; Steel 18. Total Sacks - Predators 13; Steel 12. Fum Rec - Predators 8; Steel 9. Interceptions - Predators 17; Steel 6. Had Intercepted - Predators 8; Steel 27. Note that the Steel have played 12 games, while the Predators have played 13. Orlando reeled off seven wins to open the season, dropped a pair of games, but has won its past three games. The Predators are in the driver's seat to become the number one playoff seed in the American Conference. A loss to a team like the Steel could hurt those chances as the Philadelphia Soul are just a game behind in the standings and have no intention of losing out on a conference championship and potential number one seed throughout the playoffs. They have a prime opportunity to host ArenaBowl XXIX should they win out and succeed throughout the playoffs. The Predators hold the tiebreaker over the Arizona Rattlers. After relying on Randy Hippeard at QB, the Predators have turned to AFL veteran backup Bernard Morris following Hippeard's injury. 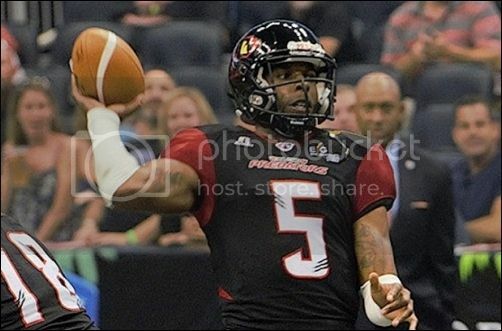 He did not disappoint in the team's 56-22 win over the Tampa Bay Storm the last time out. Morris threw for 131 yards and five touchdowns, but ran for 31 yards and hit the end zone for another 3 scores. He is a dual thread QB who can cause nightmares with his mobility. Brandon Thompkins is the do-it-all thread. He has been outstanding as a receiver and kick returner. He is fourth in the AFL in receiving yards per game and receiving yards per game. Morris will need to challenge him against a challenged Steel defensive backfield. Thompkins also has returned five kickoffs for touchdowns. Greg Carr is a strong compliment to Thompkins, having caught 75 passes for 1,033 yards and 26 touchdowns. The Steel defensive backs will have their hands full. 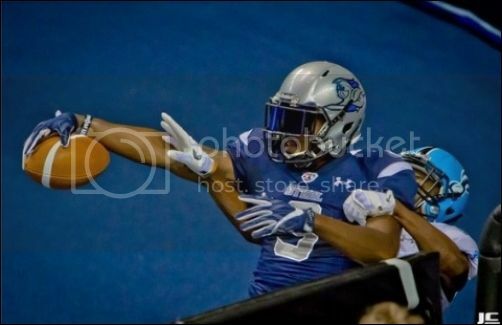 Former Portland Thunder DB Varmah Sonie is thriving in Orlando. He leads the team in total sacks and interceptions. DE Darryl Cato-Bishop has 11 tackles for loss, including 4 sacks. Terrence Moore has 51.5 tackles and a pair of interceptions. Willie McGinnis is a strong presence on the pass rush with 4 sacks and a team-leading 5 QB hits. The Predators nearly lost to the Steel in week 2 as Danny Southwick was intercepted on the last play of the game. They are a talented team who, for the most part, have dominated all season. The Predators can win this game if they play intelligently and if the defense can step up. Morris could be primed for another big game, capitalizing on his performance last time out against the Storm. Player to Watch: Brandon Thompkins (WR). Wild Card: Varmah Sonie (DB). Portland was nearly flawless in the first half of its June 27 battle against the Philadelphia Soul. They went into the half ahead 31-28, but were only able to score one touchdown in the second half -- a kickoff return for a touchdown by Shaine Boyle. It was his first kickoff return as a member of the Steel and he took it to the house. The Steel were marvelous in the first half and had the ball at the beginning of the second, but offensive futility ensued. Shane Austin threw four touchdown passes -- the first three to Rashaad Carter. 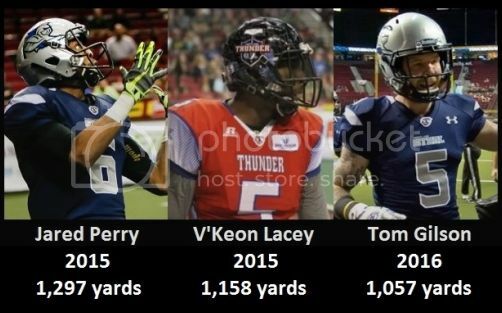 The former Spokane Shock receiver had caught 6 touchdowns in the past two games and has been a primary target of Austin over those games. On the other side, Austin also threw four interceptions, including three in the second half. He will have to clean up those miscues in order for the Steel to have a chance in this one. Austin will have help, however. As Carter is emerging, they got Nick Truesdell back after the 6'7" red zone target missed the previous 10 games with an injury. Truesdell caught 4 passes for 29 yards and a touchdown against the Soul. Tom Gilson is a staple and leads the team in all major receiving categories and has the capability to hurt defenses both underneath and as a deep threat. Gilson ranks third in the AFL in receptions (108) and is seventh in yards per game (88.1). James Shaw rounds out the group and will likely see some spot duty. Boyle has 22 tackles, an interception, two fumble recoveries and a kickoff return touchdown in just four games with the Steel. His touchdown came on his only kickoff return of the season. Sergio Gilliam leads the team in tackles with 38 and interceptions with 3. Mike McMillan is back in the rotation at defensive back and will be relied upon to help cover the talented Predators' receiving group. Brandon Sesay, Robert Hayes and Dexter Davis will be tasked with putting pressure on Morris. Kicker Ernesto Lacayo was perfect on his extra point attempts versus the Soul, and made his only field goal attempt of the game, from 30 yards out. The Steel nearly came from behind against the Predators in week 2, but Orlando has only gotten better. The Steel have done a nice job of reducing their penalties over the course of the season. They will have a chance in this one if they can eliminate turnovers and force the Predators into some of their own. Player to Watch: Rashaad Carter (WR). Wild Card: Shaine Boyle (DB). "We wept for the city for 48 hours (after the mass shooting at an Orlando nightclub). With that being said, sadness and frustration turned to, 'How can we motivate the city?' If you open up the paper, watched the game or turn on the TV and see the Orlando Predators were the first team to 10 wins this year, hopefully that makes people proud. That's our small contribution to make everybody feel a little better." "People lost their family members (in the shooting). You feel for everybody involved. You know, as players, with everything going on around you, you can let it go on the field. It was tough, but at the same time, we wanted to win for the city of Orlando." Coming into this game, the Steel's defense has forced just 15 turnovers on the season; 6 interceptions and 9 fumbles. They have forced one turnover in the past three games, all losses. The following is a chronicle of the team's forced turnovers (by the defense) over the course of the season. Interceptions - none. Fumble recoveries - 1 (Reggie Wilson). Interceptions 2 (Christian Wise, Sergio Gilliam). Fumble recoveries - 1 (Reggie Wilson). Interceptions - none. Fumble recoveries - 2 (Robert Hayes, Arness Ikner). Interceptions - 2 (Sergio Gilliam 2). Fumble recoveries - 4 (Shaine Boyle 2, Bryce Peila, Reggie Wilson). Tom Gilson is on pace to become Portland's franchise single-season receiving yards leader. Right now he is third on that list behind Jared Perry. V'Keon Lacey. Gilson is averaging just over 88 yards per game. At that rate, he will surpass Lacey's record of 1,297 yards in the Steel's second-to-last game at Tampa Bay on July 23. Hopefully the Steel can play the whole game like they played the first half against Philadelphia. I really thought they had a chance until the third quarter happened. Gonna be late to this game as well. I'll gladly take over end-of-quarter summaries as soon as I can hop online. Game time coming up. Let's do this! Steel win the coin toss and will kickoff. The Steel will get the ball at the beginning of the second half. Good kick by Lacayo, but a good return by the Preds. We have no fourth down defense. Oh yeah. Watching the Jacksonville and Arizona game that's going on at the same time over on CBSSN, so don't know how much I'll be following this game. But will try to keep up with it and on here as much as I can. Enjoy the game all. Touchdown Predators. Brandon Thompkins 12 yard pass from Bernard Morris. Mark Lewis kick. You have to pay attention to this! Angi gave you the link in the preview. Listen to this and watch the other game on mute! Fumble on the kickoff, but the Preds recover. Shane Austin intercepted by Paul Stephens. Predators ball at their own 1. Haha, demanding much? Ha, but got the Jax game on TV and this game is online. Though might be checking out the boxing too and watch 2 shirtless guys punch each other in the head for a few minutes.